You might think how a blind person can ride a bicycle, but when you have a passion to pursue a sport it can happen even if it looks impossible. Parasurama is a blind athlete and he is encouraged by AMF to take his sport more seriously and train for it on a tandem bicycle. 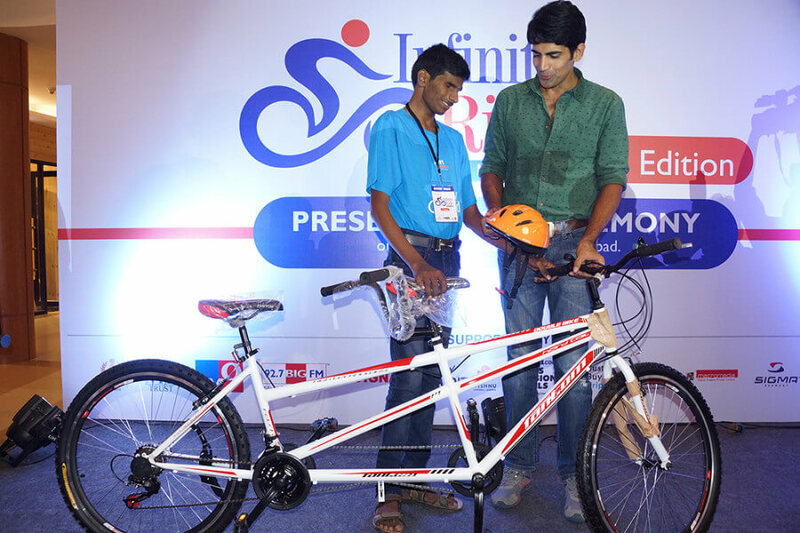 He received the bicycle on September 29th, 2015 at In Orbit Mall with the funds raised by Infinity Ride 2015.